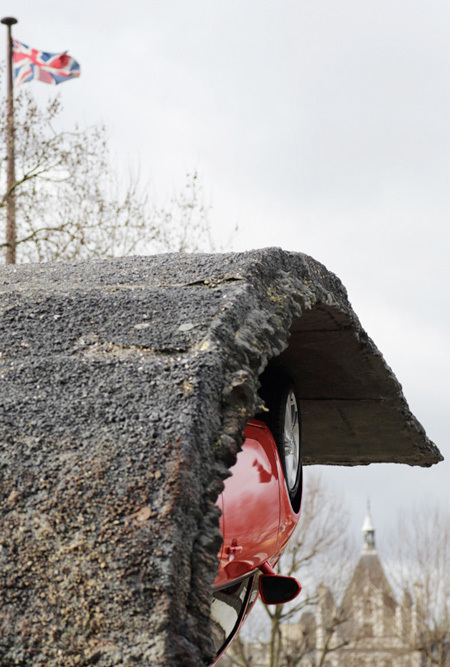 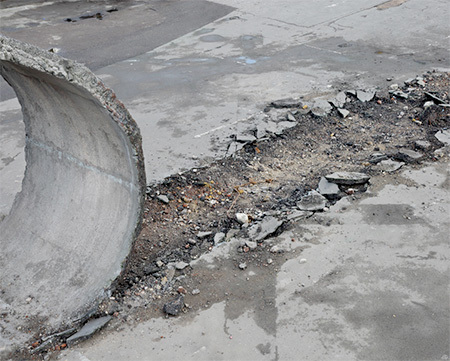 Creative art installation by British artist Alex Chinneck features red car driving upside down on a peeled back road. 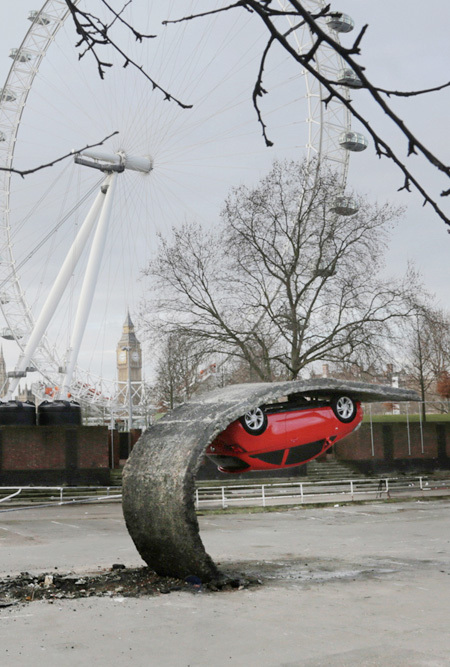 Upside Down Car illusion in London, England. 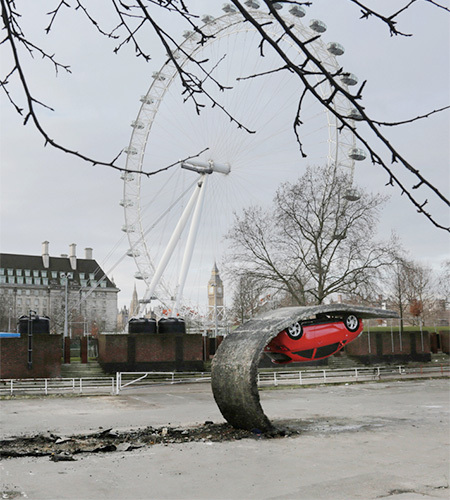 Created for Vauxhall Motor.